Mornings: All morning classes are from 9am to 1pm, Monday through Friday. and Fridays or Tuesdays and Thursdays. any or all of our 2019 offerings, depending on space available. At Peninsula there is time for play, work, quiet contemplation, and making friends. 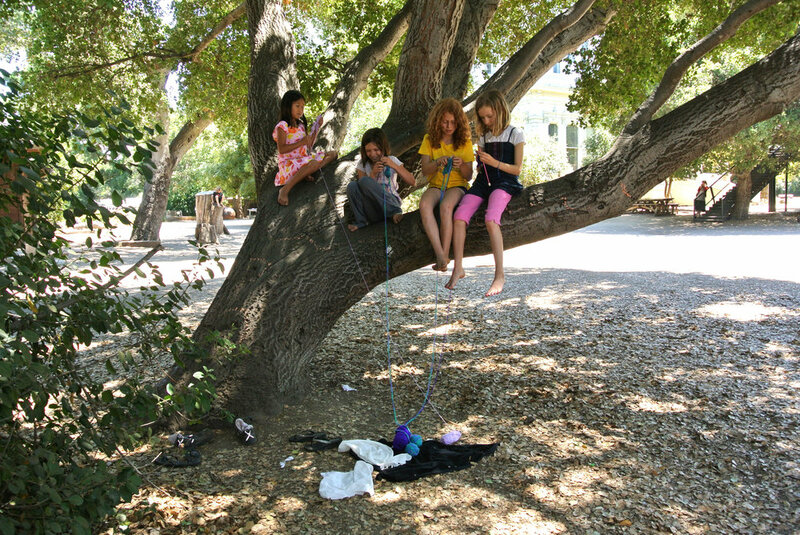 Our campus is a child's delight with trees to climb, rope swings, and large, unpaved open spaces. We understand that play is an essential tool for learning and it is an especially valuable part of our program. Summer at Peninsula School offers a warm, relaxed environment and an innovative curriculum rich in choices and responsive to children's interests. Our schedule, with two separate three-week sessions and both morning and afternoon classes, offers maximum flexibility for families. Children may be enrolled in part-time or full-time schedules for either or both sessions. The Summer at Peninsula School online registration process is designed for ease and efficiency. On our registration site you will be able to browse and search class listings, read class descriptions and summer teachers’ bios and register your children, fully reserving your class selections. Create your NEW account now! At any time you may create an account, add your children as “Participants“ and complete the online forms. Doing so in advance of the class registration start-time means you will receive an auto-email informing you of your earliest opportunity to register for classes, and be more prepared for a quick and streamlined class selection process. Click here to create your new account now. Update your existing account now! Login at any time to review, correct, and update your account information. We ask parents to revisit their account information - particularly health and emergency contact information - at least twice per year: at the time of registering for classes, and shortly before the start of the summer sessions. Updating your existing account now will streamline your class selection in February. Click here to update your existing account now. Monday, January 28th: Class descriptions will become available for viewing. Monday, February 4th: Open registration for classes will become available. Take Me To Summer At Peninsula! Please feel free to contact us for more information about our program and the registration process.